I've said it before and I'll say it again....THANK YOU! 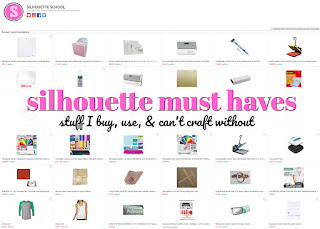 This week Silhouette School did what I thought might be possible in a few years. Instead, we reached 10,000 Facebook fans in just five short months since launch. 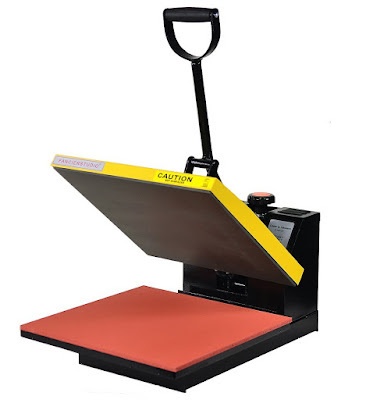 Even as I write this I am overwhelmed by it all...I'm just a stay at home mom who pecks away during nap time hoping to provide a tip or two a day on a machine that I think is quite simply as amazing as it is versatile. I also think all 10,000 11,000+ of you are amazing! 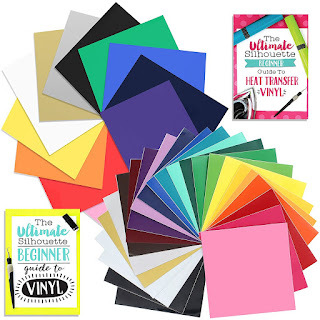 This was supposed to be the 10k Thank You's Giveaway, but in just the few days I've spent planning this giveaway we've hit yet another social media milestone. It wouldn't have been possible with each and every one of you. 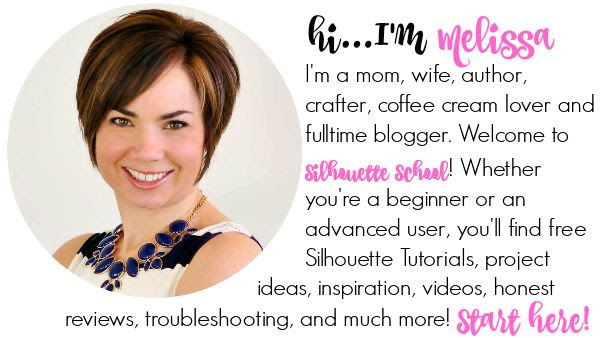 Silhouette School is a one woman show and when you're working on a budget of zilch every 'like', share, tag, click, post view, and kind comment you leave is so important to growth and success. 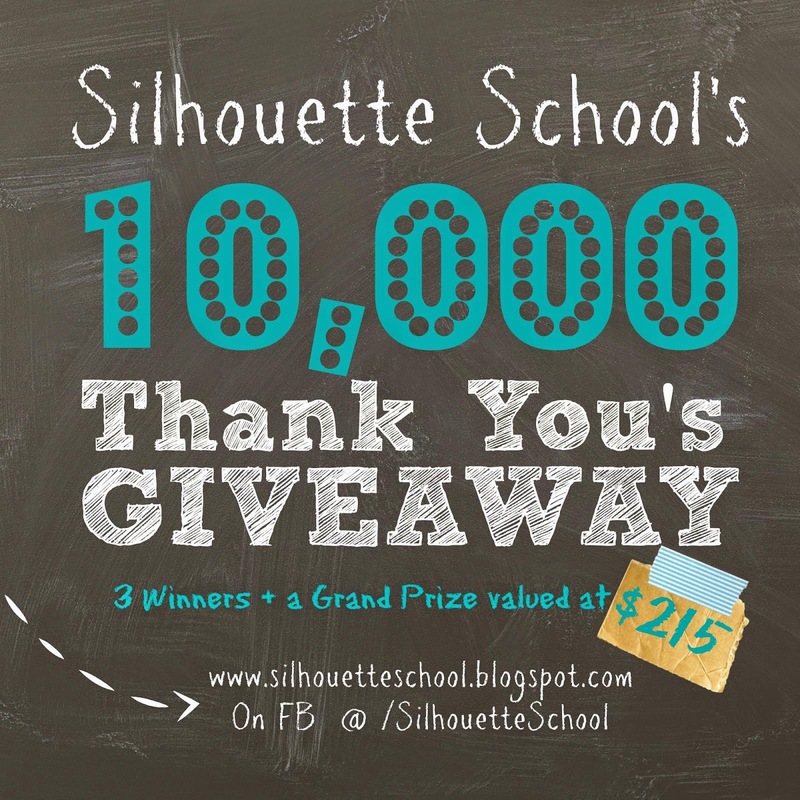 And so you see it really is because of all of you that Silhouette School has become such a success in such a short period...and for that I can't thank you enough. 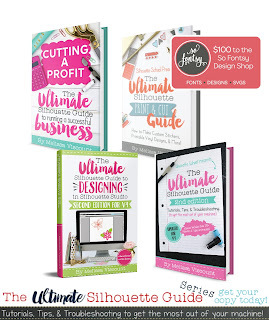 So...to show you just how much I appreciate you I have a big ol' giveaway. I mean just look at the prize pack! 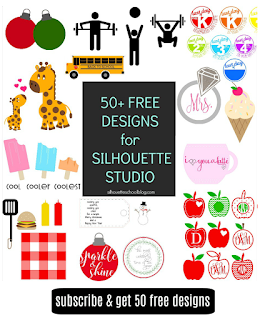 I've teamed up with a few of Silhouette School's sponsors (Expressions Vinyl, My Vinyl Direct, Punch Place Plus, and Square 1 Masterpieces) and a few of my blogging buddies for this HUGE giveaway. 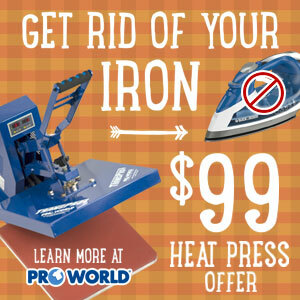 Like you, without them this totally-awesome-I-wish-I-could-win giveaway would never be possible. Please be sure to check each of them out by clicking on their photo in the graphic below ...since I think they're pretty stinkin' awesome and I know you will, too! 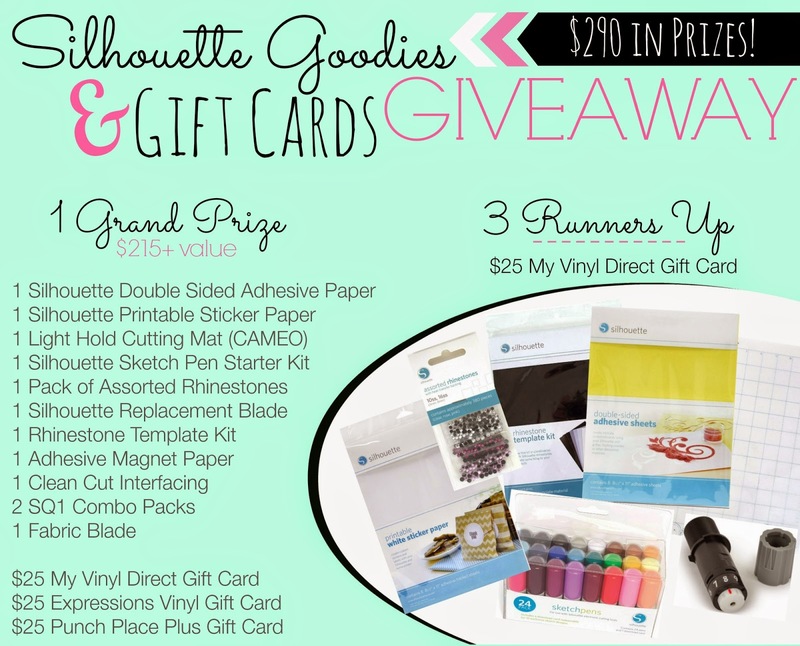 And so without further ado....the Silhouette Goodies and Gift Cards Giveaway!!! All winners have been contacted by email and have 24 hours to respond to claim their prizes or another winner will be randomly selected. Thank you to all who entered and be sure to check back soon for another giveaway!